See-Dub: Out of bed and off the map. With my stomach bug a fading memory, my friend Dede and I headed west for Amarillo this morning. And for the first time in a long time, we drove right off the front side of the map! In Childress, it was fun to make the big flip to the panhandle side! The Big Texan Steak Ranch! This was as close as we came to eating the famous "free" 72-oz. steak dinner! 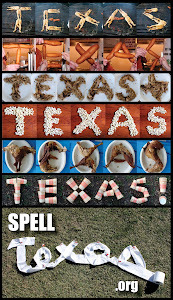 The Big Texan is definitely a Texas icon, and our visit there helped us realize that yes, we made it to Amarillo! so sorry about the bug:( Glad it was short-lived and you were still able to make your trip. We make that same trek often. In fact, we made it on Friday. My family lives that direction. Glad you had fun!